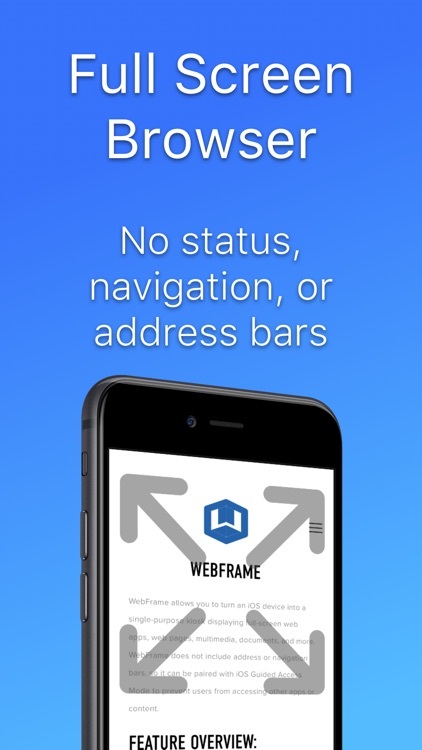 • Full Screen Browser: WebFrame provides a full-screen browser with no address or navigation bars. 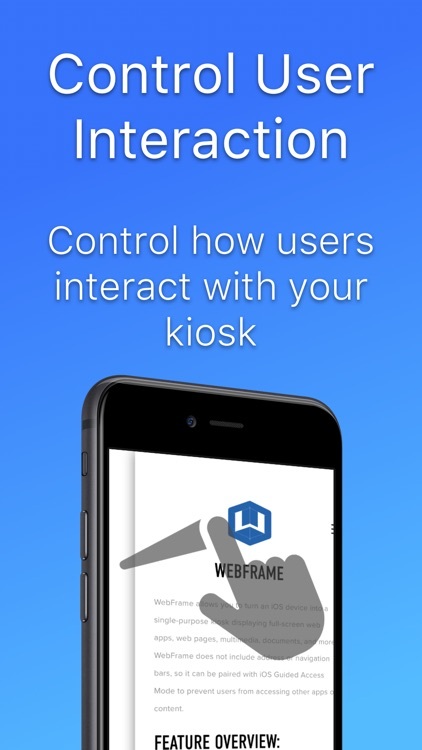 This allows you to create a true kiosk experience and keeps users in the web site, web app, document, or multimedia you intended. 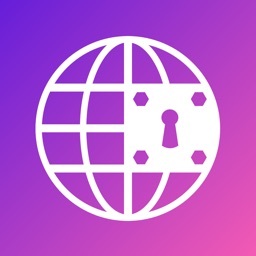 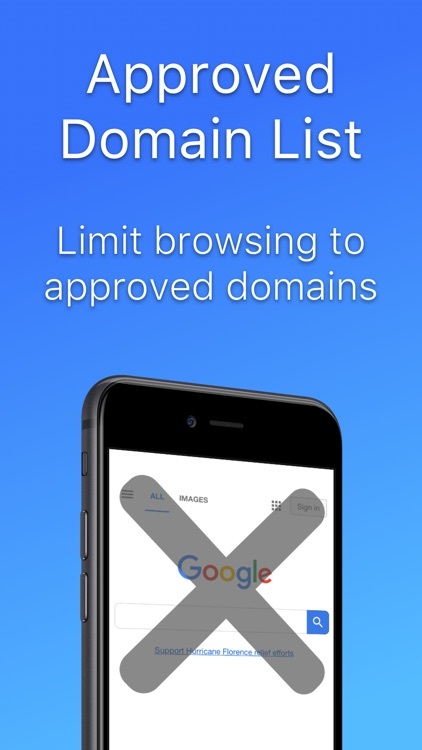 • Approved Domain List: Limit browsing to approved domains to prevent users from leaving the site or web app you have configured. 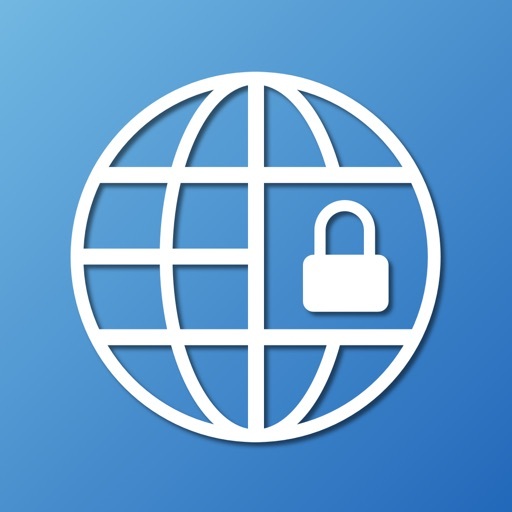 • Inactivity Timeout: Monitor user activity and reload homepage if no user activity has taken place for 1, 3, 5, or 15 minutes. 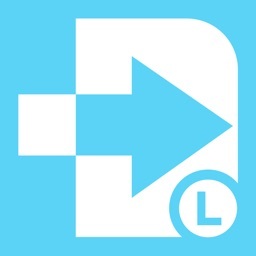 Optionally, you can choose to clear the browser cache on timeout to ensure previous user session data is deleted. 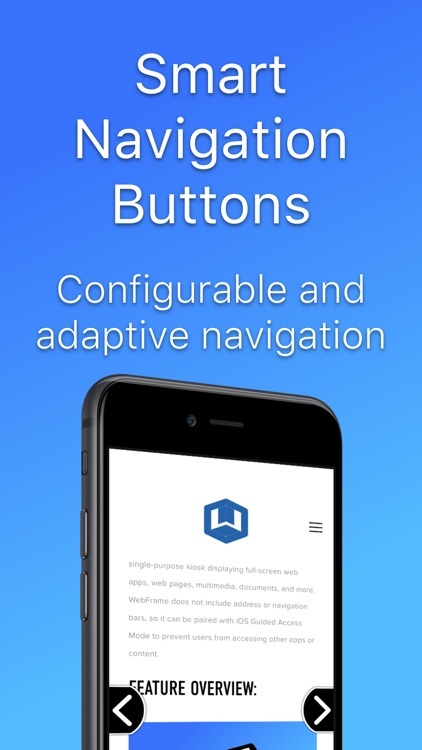 • Smart Navigation Buttons: WebFrame now supports navigation buttons that will automatically show and hide depending on the ability to navigate backward and forward. They can also be configured to dynamically slide offscreen as the page scrolls to minimize their visual impact. 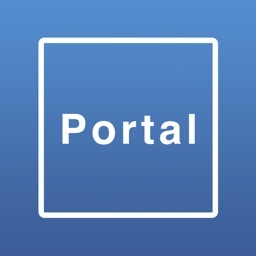 Finally, they can be repositioned vertically on the screen to prevent obscuring underlying page content. 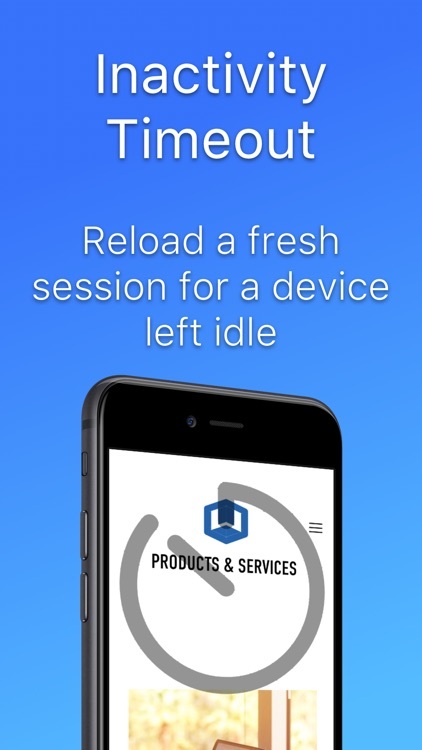 • User Interaction Controls: Control how users interact with your kiosk and allow or disallow swipe navigation, pull-to-refresh, or disable user interaction entirely. 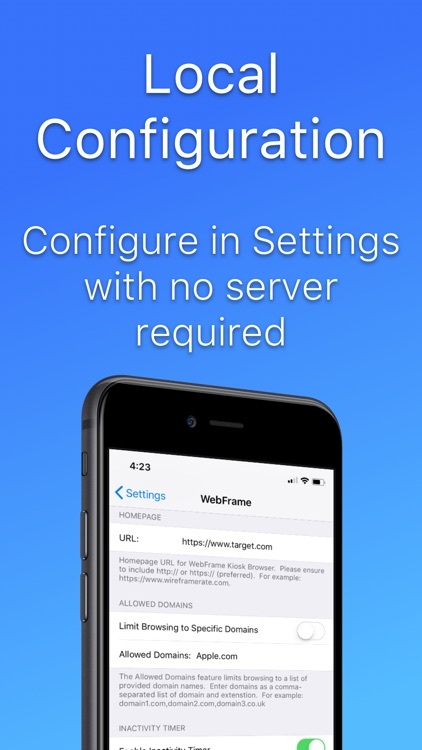 • Local Configuration: All configuration of WebFrame is handled locally through the iOS Settings app. 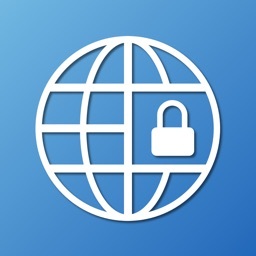 When in paired with Guided Access Mode (unmanaged devices) or Single Access Mode (managed devices), users are prevented from tampering with the administrator-configured settings.